A recent study of Americans and their flossing habits revealed that over 32% never floss and less than 30% floss every day. This is a large number of people who aren’t flossing regularly, but unfortunately, not surprising. 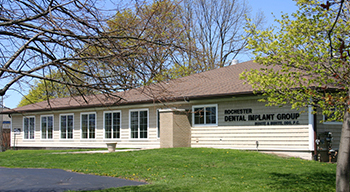 Flossing has always been a hard habit to instill and maintain in dental patients. Many feel that it takes too much time or that it’s unnecessary. Neither of these assertions is true. Flossing is a critical component of an oral health care routine and should be done at least once a day. Floss is used to get between teeth to remove food particles and buildup in areas where a toothbrush can’t reach. It is important that this area between the teeth is cleaned regularly. If not, buildup of bacteria can cause plaque which can then lead to tarter and eventually gum disease. When flossing, it’s important to move up and down rubbing the surface of the forward tooth and then the back tooth, as opposed to back and forth to get to all areas along the sides. For those of you who are in the 32% of Americans who never floss, the following are answers to some common comments from patients regarding flossing. Flossing only takes about 3-5 minutes when done properly (yes, you should floss between and around all teeth). And, the more you floss, the easier it gets and eventually becomes a regular part of your oral health care routine. One of the most common reasons patients say they don’t floss, is that they think that brushing alone is enough. As stated previously, a toothbrush – even an electric toothbrush - cannot get to every surface between your teeth. 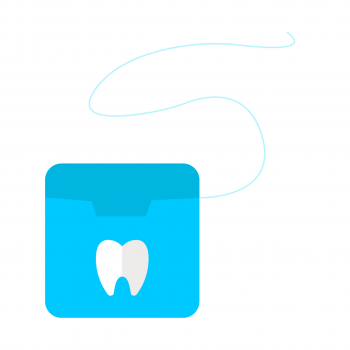 Floss is necessary to clean between your teeth and help prevent tooth decay and periodontal disease. If you haven’t flossed regularly for a while, your gums may hurt and even bleed when you first start flossing again. This will get better. Over time as you floss regularly, your gums will become stronger and much more tolerant of the flossing action. The traditional method of flossing is to use a string of floss between two fingers and angle it to get between and around each of your teeth. For people who may not be able to reach or have poor dexterity, there are other flossing tools available including flossing picks with a plastic handle, water flossers, and even air flossers. Flossing not only cleans your teeth, but it can also make your teeth look brighter by helping to remove foods that can cause stains. In addition, flossing can help prevent bad breath by reducing the amount of bacteria in your mouth. Still aren’t convinced? Take a 30-day flossing challenge during which you floss once a day for 30 days and notice the improvement in your smile, breath, and overall oral health. Let us know how it goes!